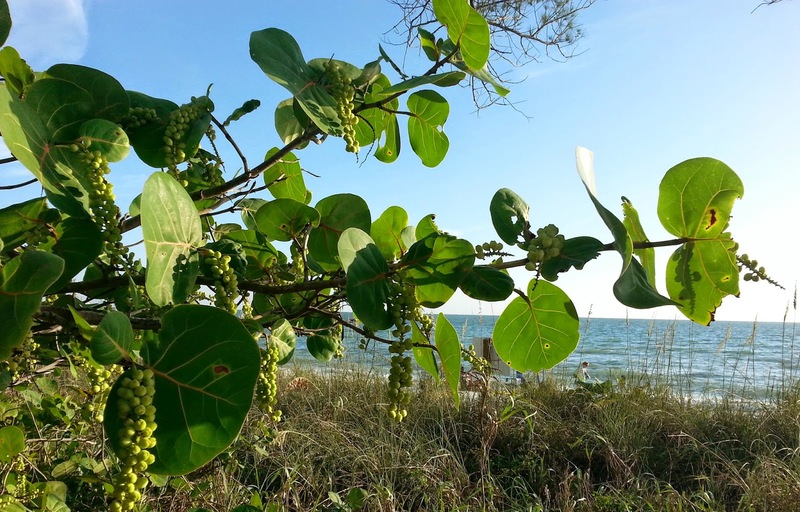 Oh how I love the sea grapes, and the way they welcome me, stretched out along the dunes. When the sun shines through, they glow against the bright blue sky... and in the afterglow their dinner plate shadows wave goodnight. Anyone can love a rose, but it takes a lot to love a leaf. It's ordinary to love the beautiful, but it is beautiful to love the ordinary. I've never seen sea grapes before. You introduced me to something new today. Ordinary for you, but extraordinary for me. Thank you! Oh I do love leaves ... of all sorts. Each one is so unique. Well I've never heard of sea grapes before but I rather like them. I love them as well. That quote is just perfect! I have never heard of sea grapes! How lovely! Leaves of all sorts are my favorite! !